Veterans have always served America with honor and courage in times of trouble, and there seems to be no shortage of troubles both past and present. However, many companies are not investing in vets, which is not only harming vets, but companies are missing out on the skills and experience vets can offer. While vets are facing serious challenges, both vets and companies should be aware that there are a host of resources and benefits available that make the hiring process easier and more rewarding for both parties. There’s no doubt that vets face a range of difficulties after their service ends. Unfortunately, employment is a major hurdle for many vets. For starters, many vets suffer real wounds and disabilities during their service, which can leave them with reduced mobility or other physical difficulties. Many of the vets who served in wars like Iraq and Afghanistan that might have died in earlier times from severe wounds, were saved due to amazing advances in life-saving medical technology. That means fewer vets were killed in action, but the types of wounds and trauma they experience have left a huge pool of disabled veterans. Vets also tend to face a range of emotional issues, all the way from psychological trauma from combat to difficulty adjusting to civilian life after their service. However, another huge source of insecurity for many veterans are the lack of job opportunities present, this is one emotional issue that can be preventable. Despite the challenges vets face, employers have a huge incentive to hire vets. It’s time to see past the wounds and trauma and realize that vets have the job skills and values to excel in the workplace. They are well-trained, loyal, and often have a variety of skills that apply to many different careers and job positions. come with advanced technical training that leads to more efficient solutions. Adm. James “Sandy” Winnefeld, Jr. of the U.S. Navy perhaps said it best when he noted that, “Hiring a veteran should not be an act of charity, but it can be an act of patriotism.” Employers that hire vets are effectively supporting the very foundation of America’s defense: the proud vets who give their all to protect the United States. The good news is that there are resources available to and companies actively seeking to employ vets. 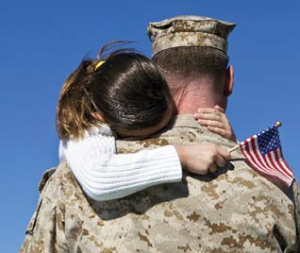 Veterans from all service branches can find programs at the Veterans Employment Center which are designed to offer free employment counseling, transition services, and counseling. There are also a number of trainings and vocational programs veterans can take to learn new skills and further their education. All of these programs aren’t perfect and still need a lot of work, but they’re an important starting point. The on-the-job (OJT) and apprenticeship is tied to the post-911 GI Bill program and allows for reimbursement and training expense payments for jobs that require training on the job, such as firefighters or electricians. Vets should use the system as much as possible to help themselves find gainful employment, and that often means getting active and advocating for their rights. At the same time, there is a range of benefits for employers as well, including tax credits like the Work Opportunity Tax Credit (WOTC), which ensures employers receive a credit of $1,200 to $9,600 depending on the unemployed veteran they hire. If you’re an employer, you don’t only show you love your country when you hire a vet, but there are real financial benefits tied to this act as well. Ultimately, companies like JDS Security, are dedicated to providing training and employment opportunities to the brave men and women who have served in the armed forces. We have a large pool of vets who have security experience and a dedication to their job. As long as there are still patriots in this country, there will be companies who make it a priority to hire vets.